Hello everyone, this is the first blog entry in a series called Lightweights in which I'll talk about light and studio setups. Today we will talk about the light and props involved in creating the personal series of portraits "Cameo", which you can see here. For those of you who are not familiar with cameos, here's a link to the wikipedia page. Before shooting these three pictures I had two main issues to solve: lights and props. Cameos are usually plain white with an even, dark background, while I wanted something more colorful - albeit desaturated - and with a richer, complex background. Please notice the Bic ballpoint keeping the frame in place. You da real MVP, my pen. 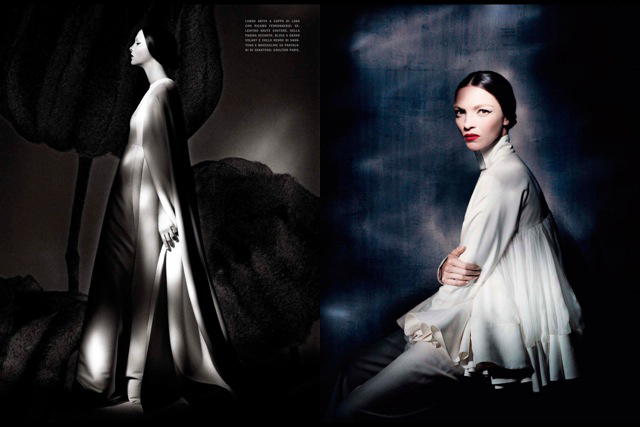 In order to give the feeling of an old, authentic oil portrait to the pictures, I wanted to use one of Mr. Paolo Roversi's light techniques, which involves a pitch black room and a flashlight. A video of this technique can be found here, while these are some of the results. 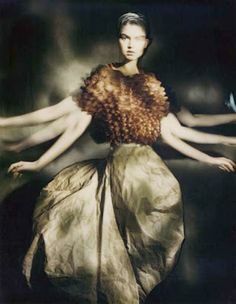 This technique is not too difficult to grasp, while it's incredibly easy to make some mistakes such as overexposing or having a blurred blob instead of a face because the model moved too much during the shoot. As shown in the video, it's all about keeping the shutter open for some ten seconds while light-painting the model and the background unevenly. The actual shoot was done using the Bulb setting, a remote controller and a common flashlight from the hardware store. I used the flashlight on the model while standing in front of her, and I lighted both her and the backdrop while standing to the side of the camera in order to have a flat, less contrast-y background. Some pictures were no good, as the light was too uneven or the model did not stay perfectly still, but overall it took some fifteen shots per outfit to have a good one. That'd be all. If you have any questions, feel free to contact me on facebook and instagram.